It is a golden opportunity to meet the traditional alcohol masters appointed by the Korean government! 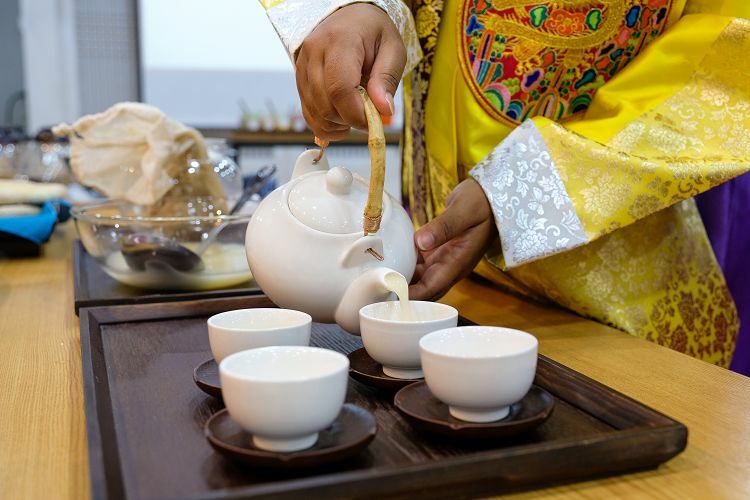 We invite you to the "Korean Traditional Alcohol Experience", where you can learn how to brew Korean traditional alcohol by learning from famous masters! Special traditional experience program in Gangnam! The method of brewing Korean traditional alcohol (makgeolli) will be taught in a simple and modern way. It is a precious opportunity to learn about Korean traditional alcohol at a low price, and you can also taste the five kinds of traditional alcohol made by masters appointed by the Korean government! Meet and greet the varierty of Korean traditional alcohol. 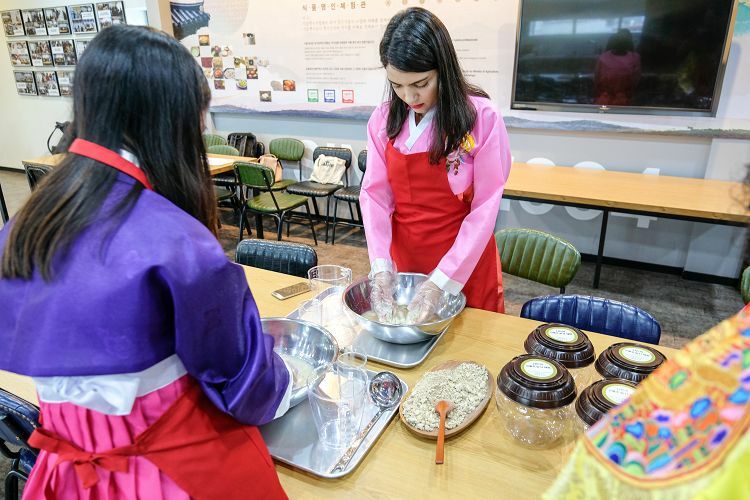 • The Korean Traditional Alcohol Experience program lasts for 120 minutes, where you can taste the traditional alcohol, learn about the brewing process as well as brewing your own makgeolli. • After learning about the fermentation method of traditional alcohol, you can ferment your own traditional alcohol. • Fermentation usually takes 2 weeks ~ 1 month. You can take the traditional alcohol you made to your home country and taste it when it is completely fermented. 1. Reserve this product through Seoul Pass. 2. Please show your voucher to the staff when you arrive at the venue on your reserved date. 3. Follow the instruction of the staff and enjoy your time! 2. If the minimum number of participants is not reached, the CS Team will notify you through email. 3. Age limit: 18 years old or above. If those aged below 18 years old want to join, parents/guardians companion is compulsory, but alchohol tasting is not allowed. 4. If those aged below 18 years old drink any alcoholic drinks secretly, Seoul Pass and the organizer will not be responsible for it.